1) If it says “Reserve” on the label it must be good! Not necessarily! 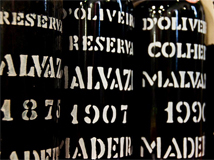 While the terms Reserva, Grand Reserva and Riserva etc are legally governed in Europe, even here, they usually simply mean the wine has spent longer ageing before release. This may invariably involve higher costs, and therefore prices, but does not necessarily mean you, or anyone else, will like them more. Grand Reserva Rioja Blanco is, for example, so much not everyone’s taste that many producers no longer make one – it can be oxidised and madirised, as well as more nutty than fruity. I like them and so might you, but not everyone does. In the New World, and I find Chile especially guilty of this, it is so formulaic to label ranges with Reserva, Grand Reserva et al, that they are no guarantee of anything, even extra ageing. Such terms are not legally governed, and in consequence widely abused. Find producers whose wines you like, and then spend more to get better quality, rather than assuming someone else’s Reserva will be superior. Chardonnay became ubiquitous as a result of two factors. Firstly, uniquely amongst varieties, Chardonnay will thrive anywhere you can ripen grapes. From sparkling wines in England and Champagne to rich oaky monsters from California and even North Africa or the Lebanon, Chardonnay can do all this. Secondly, Chardonnay has historically produced the greatest, and most expensive and highly regarded white wines of all (in Burgundy originally). Winemakers elsewhere in the world may be trying to achieve a comparable style and quality, or they may be trying to achieve similar prices (probably a bit of both! ), but it’s no surprise that they try. When you encounter someone who is ’bored with Chardonnay’, it’s likely that they have become bored with ten dollar-a-bottle pineapple-chunk flavoured Chardonnay with a hint of (fake) oak, from a sunny place in Australia or California. It’s fine to become bored of such wines, but it’s far less sensible to blame a plant for them. Give such people a glass of crisp Chablis, or Blanc de Blanc Champagne, and they’ll likely be convinced. As with Reserva above, this is not always the case. A statistic bandied around the UK wine trade is that 95% of all wine purchased is consumed within three-quarters of an hour! Which conjures up all sorts of illegal supermarket car-park corkscrew action. In fact, more than a quarter of wine is purchased in bars and restaurants, where the 45 minute thing will be true, but nevertheless it’s a poor commercially minded winemaker who produces wines that only appeal to 5% of the buying public. Tannin, the bitter substance in red wines that comes from the grape skins, mellows and softens with age. Red wines high in tannin, like top Bordeaux or Vintage Port benefit from age to the degree that they can be teeth-coatingly unbearable and chewy when young. Otherwise, it’s all down to personal choice. Although some people like them, to me old Sauvignon Blanc invariably tastes like the water in a tin of sweetcorn. Apart from oak-aged and sweet wines, most other whites are better for being fresher, and you may find the same thing with lighter reds to your own palate. All wine ageing is the process of oxidation, which will soften and round the flavours as the wine meets fresh air (ever noticed that sometimes a full-flavoured red wine left half undrunk tastes better the following day?). Any wine that benefits from age in the bottle, will benefit from a little contact with air before consumption. This can be achieved by decanting, swirling around a (large) glass, and even the slurping that wine tasters seem unable to prevent themselves from doing. However, note that simply drawing the cork from a bottle and leaving it open might allow the odd fruit-fly to get in, but does not alter the surface area of the wine in contact with air, and so won’t really do any good (decanters don’t need to be posh, a simple jug will do). Opened wine, whether left in the bottle, or a decanter, will continue to develop – perhaps profitably – until the process of turning to vinegar takes hold. This will generally take a few days – maybe up to a week, especially if you keep the wine cool in the interim. With Screwcaps, what comes out is more likely to taste like what went in. For white wines made to be consumed in youth, this is an advantage. The move towards alternative closures was a result of the unacceptable failure rate of corks. The in-between step was ‘corks’ made out of plastic, which to my mind are rather pointless – hard to get out, harder to get back in. Screwcaps are largely inert and their only problem is, or was, image. Top properties, even in Bordeaux, have been experimenting with screwcaps for decades. 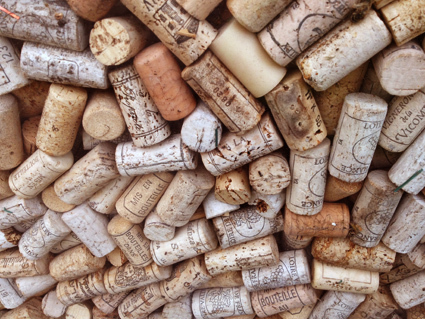 The issue, however, is that the use of cork can change wine in a positive way. The science is not easy to explain, nor entirely explicable, but it’s a definite truism that a wine sealed with cork left in a cellar next to an open tin of paint will eventually begin to taste ’painty’. 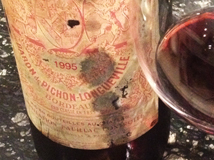 Such wines interact with their environment and from this at least some of the magic of aged wines emanates. The best news, in all this though, is that the cork industry, facing threats from new alternatives, has sorted itself out and resolved the issues that caused cork taint (as much as is possible) in the first place. The number of corked wines I encounter has dropped to hardly any (and those are generally old bottlings). It’s all personal, or course, but for me screwcaps for young, early-drinking wine, and (the more expensive the better) corks for wines that warrant great ageing is the way to go. The origin of this falsehood is the (otherwise excellent) movie ’Sideways’. It’s true that there are some California Merlots that are rather undistinguished. It is, after all, possible to make crappy and boring wines from any grapes. In fact Merlot has a propensity to crop heavily and it ripens early, making it perfect for producing wines on a budget. But this is not to deny the extraordinary quality that low-yield well made Merlot can achieve. One of the most expensive wines in the world, Bordeaux’s Pétrus is, after all, almost pure Merlot. Nothing ordinary about that!